Released in 1983, the Lisa was the first commercially produced personal computer to feature a graphical user interface, although the high price and sluggish performance limited it success. Known only as "The Love Goddess", the sister of Rudy's Boss, and the object of everyone's desire, is in fact studying for a PhD using an Apple Lisa. 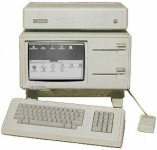 Microsoft get hold of an Apple Lisa and Bill Gates is furious about how advanced it is compared to their product. 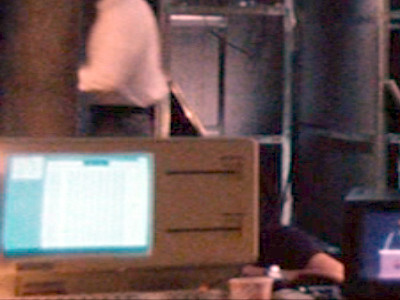 An Apple Lisa appears backstage at the Mac launch.